Puno lauds Gilas for holding fort despite "attempt to disrespect us"
 Home  basketball  FIBA World Cup  Gilas Pilipinas  Robbie Puno  Puno lauds Gilas for holding fort despite "attempt to disrespect us"
BOCAUE--In an unpleasant sight on Monday night, players from both Gilas Pilipinas and Australia engaged in a bench-clearing brawl during their FIBA World Cup Qualifiers match at the Philippine Arena. "It's an unfortunate incident. We don't want these things to happen. It's a little bit of an embarrassment," reacted SBP vice chairman Robbie Puno on the now infamous melee. 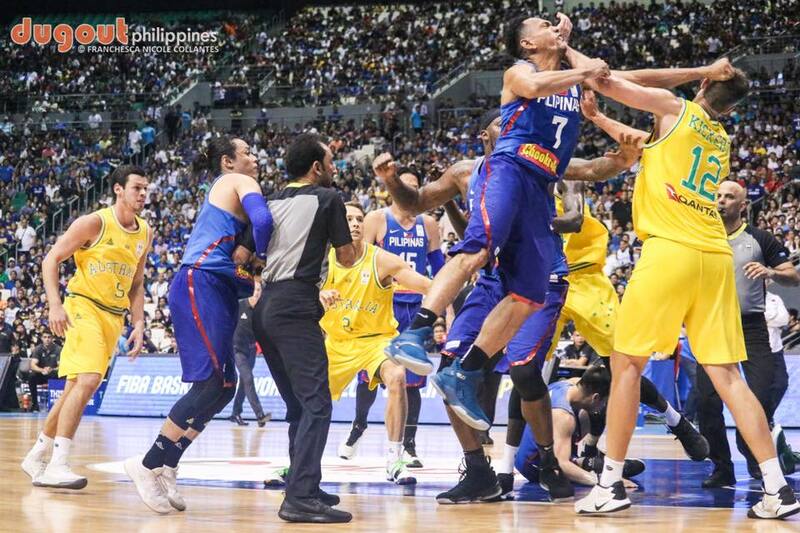 However, the former congressman claimed, "There was an attempt to disrespect us," recalling all the drama that took place before the brawl, from the removal of the decals during Sunday's shootaround to Daniel Kickert shoving Matt Wright during the warm-ups to Chris Goulding doing some trash talking to Gilas' free throw takers. Despite the ugly events, Puno said, "I think we stood our ground. I'm proud of the Gilas Pilipinas boys for standing our ground and fighting for the Filipino people." He added, "We can only hope to get some good out of it and say that we showed ourselves as a united team, a team that fights together and doesn't back down to anyone. So let that be a lesson to everybody."